I Fiction Syxx debuttano per Melodic Rock Records | SLAM! MelodicRock Records annucia la pubblicazione di “Tall Dark Secrets“, l’album di debutto dei Fiction Syxx. 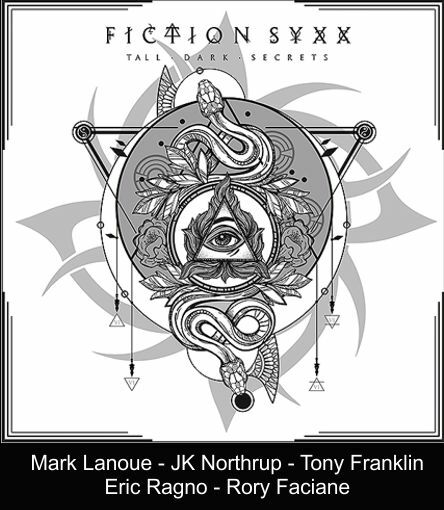 I Fiction Syxx, sono un progetto nato da un’idea di Mark Allen Lanoue (BILOXI/MESSAGE/PERSIAN RISK) e dove fanno parte del progetto anche JK Northrup (KING KOBRA, XYZ), Tony “The Fretless Monster” Franklin (THE FIRM with Jimmy Page/Blue Murder/Whitesnake), Eric Ragno (Graham Bonnet Band/Joe Lynn Turner) e Rory Faciane. Nell’album compiono anche ospiti come Bill Leverty (FIREHOUSE), Steve Brown (Def Leppard/Trixter), Jimi Bell (House of Lords/Geezer Butler Band) e Carl Sentance (Don Airey Band/NAZARETH).